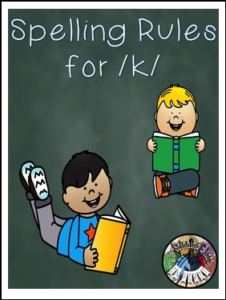 This quick print worksheet gives an opportunity for students to practice spelling with /k/ rules. If you use Saxon Phonics, this sheet can be fully used after lesson 90. Students practice writing the rules for which letter or combination to use, then apply that knowledge to words. Please go to your “My Purchases” page. Beside each purchase you’ll see a “Provide Feedback” button. Simply click it and you will be taken to a page where you can give a quick rating and leave a comment for the product. Each time you give feedback, TPT gives you feedback credits that you use to lower the cost of your future purchases. I value your feedback immensely, as it helps me determine which products are most valuable for your classroom, so I can create more for you.